Malaysia has confirmed to cancel the Formula One (F1) race for good after 2018, and Singapore may follow in the country’s footsteps. According to Malaysia’s Tourism and Culture Minister Datuk Seri Nazri Aziz, the country will no longer extend the F1 contract when its current deal expires in 2018 as the hosting of the event is very costly and brings no returns to the country. “F1 attendance is dropping and there is less attraction to it now. We are spending RM300 million a year (for the race),” he said as quoted by New Straits Times. 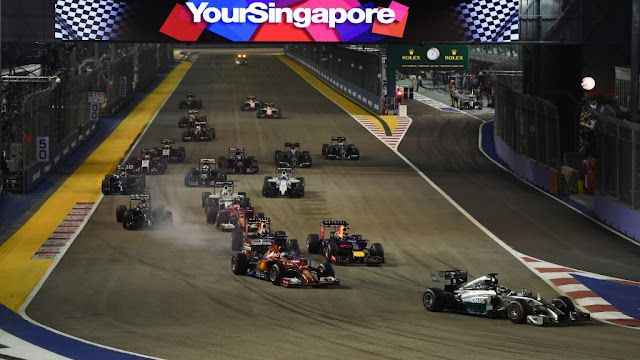 The remark was made after hearing reports that Singapore too may end its contract after 2017 because it had achieved what it wanted with the Grand Prix, though F1 boss Bernie Ecclestone is currently in negotiations to keep Singapore on its calendar. “My words were taken in a funny way. What I said was simple - no decision has been taken yet,” he told Straits Times.